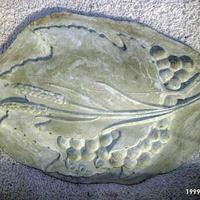 Plaster relief cast for Grape, Oak and Wheat that is green in color. 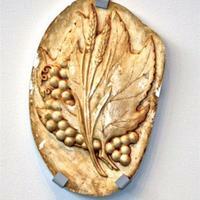 Plaster relief cast of Grapes, oak leaf and stalk of wheat are represented in this relief. The yellowish discoloring is from shellac used to seal the plaster.